If you feed your cat or dog Eukanuba dry dog food or Iams dry dog or cat food, it is important that you verify that your pets dog food is not affected by the Procter & Gamble voluntary recall. The FDA announced the recall by Procter & Gamble on August 14th, 2013 for Eukanuba dry dog food as well as Iams dry dog and cat food due to salmonella risk. View the recalled lot and upc code here. P&G is recalling the product out of an abundance of caution. Consumers who purchased a product listed below should stop using the product and discard it and contact P&G toll-free at 800-208-0172 (Monday – Friday, 9:00 AM to 6:00 PM EST). Lynette Henk is an avid pet lover of a border collie, experienced consultant, social media pro and mommy blogger. She gave up the corporate grind working at Fortune 500 GE Capital and Chicago based uBid Online Auction to raise her three boys and work from home. From the Chicago area, she now resides in sunny SW Florida. Mother to three young men and an advocate for those suffering with special needs including autism. She shares ways to improve health through nutrition and increased antioxidants. 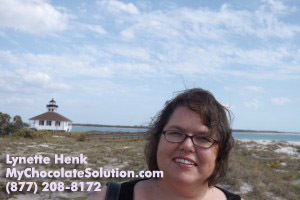 Lynette coaches individuals who desire to build a healthy chocolate business network from home. Lynette is available at 941-216-5727, at [email protected] or at MyChocolateSolution.com. NextCan Not Find Nuggets in Tokorozaka Japan?